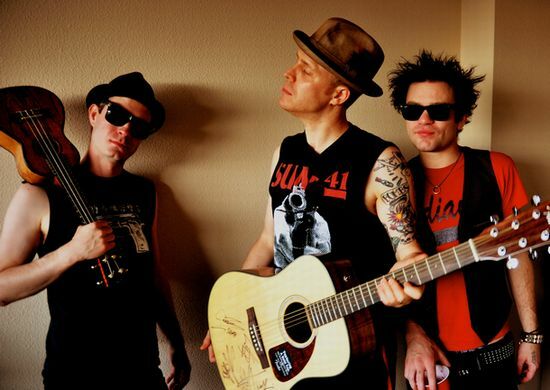 SUM41 will be placing their acoustic guitar for the Relief Charity Auctions. The guitar was used for their previous tour. 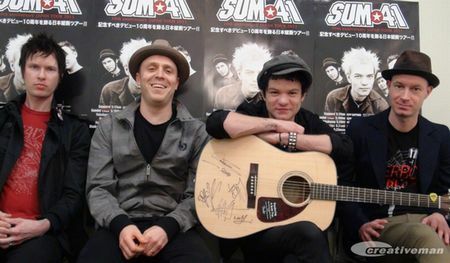 This is a part of SUM41's initiatives to support Japan's recovery from earthquake, taken in conjunction with their Japan tour starting on May 17th. Their show on the 19th will be the first international gig to be held in Sendai since the earthquake. This is a classic acoustic Fender guitar, with natural coloring. This guitar is signed by every member of the band Sum 41 and was Deryck Whibley's personal guitar during the band's last tour. Hey Japan! Japan is our favourite place in the entire world! It’s our turn to support back Japan and we hope that we can support Japan with all of you. We are also coming soon to rock out for you guys, so hang in there! And congratulations to the guitar winner!!! ? ?